Yes, here we are again! As I mentioned during my last post regarding our trip down in October, Deb and I decided to return again for the last week of the year! We camped in our trailer in October and saw Fall in McCall, and this time stayed in more luxurious surroundings in Winter! It was a magical winter wonderland and since it was the week after Christmas, we still were able to see the town decked out in holiday regalia! We stayed at the Shore Lodge in a gorgeous lake side suite. The place was absolutely perfect for us! Amenities included, nice bar, two restaurants, small gym (yes we did work out), out door pool and hot tub, theater (we did not use), game room, and a spa. Unfortunately, the spa was booked the whole week we were there so we weren’t able to enjoy a massage or anything else. At night they would build a fire and you could go out and have s’mores with the ingredients provided by the hotel. And every night while the s’mores were cooking, raccoons were hiding in the darkness with little glowing eyes waiting to grab a morsel off the ground or out of the trash! Everything was clean and the staff were very friendly and helpful. As a matter of fact, people in Idaho were nice and happy in general! We love it there!!!! The weather was beautiful for most of our stay. Mostly clear blue skies with the occasional snow flurry now and then and man was it cold! One overnight low went below zero…..brrrrrrrr. Now if you are familiar with McCall or Idaho in general, you would know there is plenty to do whether it is summer or winter! After we had settled in and had a look around, we started planning our activities for the week. Just six weeks earlier Debbie had knee surgery, so skiing was out of the question. But there was plenty else to keep us occupied. So we got to it and one of our first things we did is rent snow shoes for half a day. We thought it would be enough and didn’t want to push Debbie’s knee! We asked about where the best place to go and headed to the suggested destination of the Bear Basin Trail Head. It was a great place to snow shoe but we also had to share trails with cross country skiers too and they had the advantage and their own trails that we had to stay off of. That was okay by as as there was plenty of trails and room for both! It was so cold, that both of our cell phone batteries died and we didn’t get a chance to take as many pictures as we would have liked. Luckily before they died, we met a couple of hikers and their dog and they managed to snap a few of us! The most disconcerting thing was that we didn’t know what time it was or couldn’t pull up a map of where we were. That made us turn back a bit earlier than we would have. The last thing we needed was to be out after the sun went down! We had a great time anyway and got plenty of cardio. One thing that we just had to do, was rent a couple of snowmobiles and hit the tracks. I did a little research before we left to find the best place to rent them. We settled on Cheap Thrills Rentals and were really glad we did. We had brand new sleds and they supplied everything, suit, gloves, boots, helmets, and everything was clean and kept us very warm. We had to drive ourselves to the meet up in a big parking lot where all the sleds were. Then after a brief safety and operation spiel, we were off on our own! Now the only thing that we didn’t really like was that we had to stay on the road, so going off into snow fields wasn’t allowed. Now I get it and why they request it, but it was tempting to hit a nice flat looking clearing to go have some fun in! At any rate, we still had a blast! We road back up to Burgdorf Hot Springs where we had been back in October. We stopped there and had a cup of coffee and thought about going in the hot springs because we did bring our stuff. We decided we didn’t want to change, get wet, dry off, etc! We’d rather continue to ride. Warren which is an old mining town that is almost a ghost town. It does have a population of 7 in the winter and there is a landing strip at the old town to get supplies flown in. It was very cool and we rode around exploring then went into the Baum Shelter for a quick bite and beverage. For a place this far out in the woods and away from civilization, it had an extensive menu and was very good. After hanging out and warming up we finally headed back down the road and went a little bit beyond where we were supposed to. It was a great day and we put just over 90 miles of riding! Some days we spent driving around the local area looking at different spots around McCall and checking out properties of course and just getting a lay of the land. We also wanted to get more familiar with the town itself and of it’s surroundings. We found some really nice developments and some areas that were just meh. Sounds like we are looking for another place to buy right? Well you never know, we really love it out here. It could be another place to land in case Washington State goes sideways like it just might! We were also able to spend New Year’s Eve here too! The hotel had a big party which we attended. Had a great dinner, drinks, shared a table with strangers that became one night friends, and even did some dancing. It was a great way to end the year and ring in the new one. We had to say good bye to McCall and drove down to Boise for the last night. We left mid morning to give us a bit of time to check in to our hotel and have some time to do a bit of exploring while we could. We just looked on WAZE and just started driving. We drove onto the campus of Boise State University and looked around. It is a very pretty campus and also drove to the stadium and checked out the blue field. We also saw the capitol building and were surprised at some of the mansions that were nearby in a very cool neighborhood. We then stumbled upon the Old Idaho Penitentiary which was awesome and spooky. We had gotten there too late to see much of the place and were only able to go into the women’s ward. It was not a comfy place to have to be into back in those days. It was such a bummer that we got there too late to see anymore, because it was so cool. Finally we hit a local restaurant that was recommended by some of our good Snoqualmie friends, the Barbacoa Grill. OMG this place was huge, busy, and sooooooo good. They make the best guacamole fresh right there table side. The drinks were great and the food was awesome and the place was packed. The vacation was such a blast and went way too fast. We both were experiencing post vacation depression upon our return, but we had our little four legged buddy to cheer us up! In addition to the pictures I posted here, you can find many more in our online album, so go take a look! Well another years has passed us by. This was the fastest year yet for me. It seems like we had just put the tree and decorations away from last year just a few months ago and here we were dragging it all out again. For that reason, I was not very prepared for this Christmas. Debbie, on the other hand, gets excited no matter what. She loves the Holidays and loves giving. Our great friends Larry and Lynette hosted Thanksgiving and we had Christmas Dinner at our house. The day after Christmas we went down to Tacoma and had brunch at the Hob Nob with the sisters and their families. This has become somewhat of a tradition at the Hob Nob. It makes it a lot easier on everyone to just gather together at a restaurant and have our brunch and gift giving right there. The staff has become used to us taking over the dining room! We had a wonderful Christmas. It was also Cordell and Patience first Christmas and they both enjoyed the company over. I think Cordell got a little stressed at all the fuss, especially while gifts were being open. He went off on his own and spent some quiet time by himself. We were very proud of both of them! Speaking of gifts, Debbie and I got some nice gifts this year! She got a Nikon D90 digital camera and I got an IPad! She is taking pictures of just about everything. I have left the photo editing to here as I can no longer keep up with the avalanche of photos she is ripping off. I love my IPad and it is really cool using it during my breaks on the bus (what few I have these days). It is an awesome gadget and I can hardly put it down. We are very blessed. Not soon after Christmas, we got our second snow storm of the season! They had predicted a rough winter for our area and so far it has been pretty wild. It made for a beautiful wintry wonderland right at the Holidays but also made my bus driving job not very fun. So now we have had two very big winter storms and we have a lot of winter left. I wonder how many more of them we will see this year. Everybody is doing well in our tribe. Alex is still working at Milgard Windows and is also a volunteer firefighter. His wife Mo is teaching and loving it. Her kids love her too. Ryan, after being laid off for awhile, now has a new job he likes better. He is still doing HVAC work, but is now with a different company and they are treating hime well. He recently moved to downtown Seattle and has his own space finally and loves it. It is quite a nice bachelor pad if I say so myself. Now we are looking forward to a new year and new adventures. We hope your upcoming year will be bright, prosperous, and wonderful! Before it gets too stale, well it may already be stale, let me post a recap of our Holiday season. I thoroughly enjoyed the holidays because we hosted nothing!!!! It was kind of nice for a change and less work! For Thanksgiving, we were invited up to our friends Larry & Lynette for the turkey feast. It was wonderful as Lynette is a great cook. The only other family member that was there was Ryan. Mo and Alex went to her parents for Thanksgiving. This is what happens when the kids get married off. Time has to be shared with the in-laws! Then came Christmas and again it seemed to come way too fast! 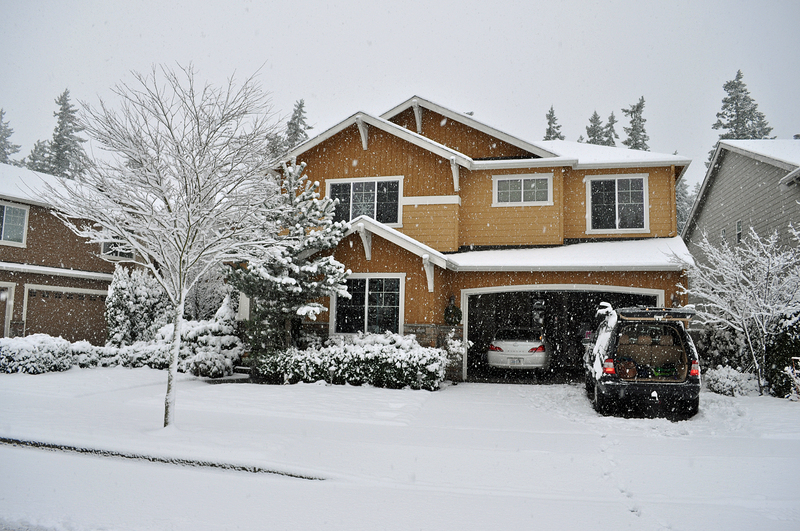 Alex and Mo hosted their first Christmas in their new house in Gig Harbor. Larry, Lynette, Mariam (Lynette’s Mom), Ryan, Mo’s parents and brother and sister joined in the festivities. We had a fantastic dinner and opened gifts! By the end of the evening, Alex knew what it was like to host a family gathering….. allot of work! 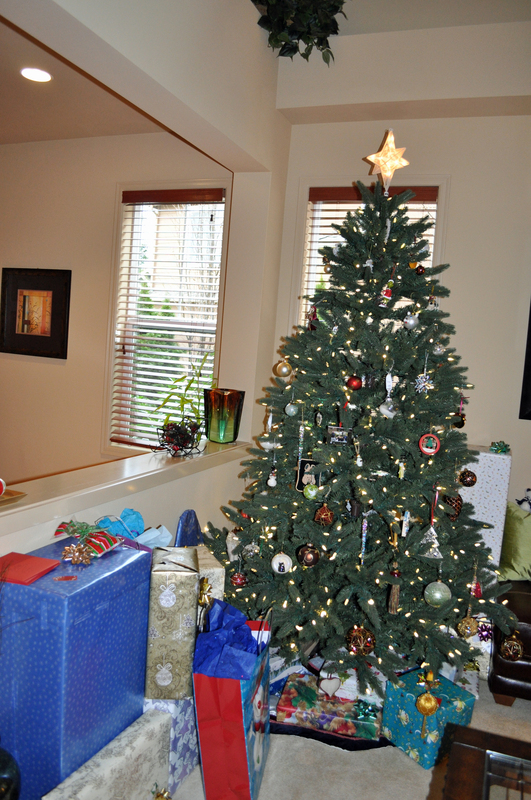 This year, our gift giving was toned down a bit! We exchanged small gifts between ourselves because we got big gifts earlier on! I had California Closets installed in her closet in our bedroom! That was her big gift! We also had bought a 52″ TV for our downstairs family room and called that a gift to ourselves. Between the two, that was plenty! Since Gig Harbor is quite a drive from our home in Snoqualmie, we had reserved a room in a nearby hotel for the night! It was convenient also because the following day we met up with Deb’s sisters and their better halves for brunch at the Hob Nob Restaurant in Tacoma! This is an old Tacoma establishment and looks to be an annual thing for Deb and her sisters to do at Christmas time! New Year’s Eve was fun especially since I got the day off unexpectedly!!! We went to a bash at the Queen City Yacht Club where Larry & Lynette are members! We also stayed at a hotel in the University District so we wouldn’t be on the road afterward!! It was a fun time and we hung out with some boating people we had met on one of our voyages! So that was the holiday recap!! Look to the right under our Flickr photos for links to the pictures!! The new year will be an exciting one and hopefully without the disasters that befell us in 2009! We have some awesome vacations planned for this coming year! We plan on returning to Best Friends Animal Society for our third visit in April!! We are looking forward to seeing our animal and human friends again there! In September we have booked a two week cruise to Alaska and I am busting with anticipation for this one!!! I can hardly wait! We have also possibly planned to rent a boat in July and cruising with Larry & Lynette up to Canada, but that one is still tentative! I am a little anxious about getting on a boat of that size again and cruising around on it, but I will have to get over the hump and just do it!!! Well, that’s it for now will be back soon!